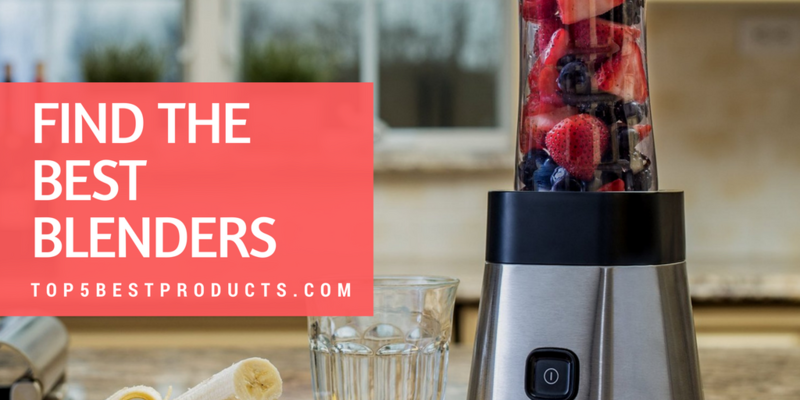 FIND THE BEST BLENDERS – BETTER THAN SHAKEN OR STIRRED! Gone are the days when a blender was a loud contraption that you received from a distant relative as a wedding present. These days blenders are versatile staples of the health-conscious cook’s kitchen. More and more research shows the benefits of juicing and while these machines may not be as effective for creating a wide array of vegetable-based juices, they are perfect for many juices made from the soft flesh of most fruits, smoothies, and, of course, margaritas. There are many excellent options on the market today from well-known manufacturers and newer companies alike, and high quality can be found at all ends of the price spectrum. Style, too, counts, since blenders are increasingly becoming an every-day component, instead of sitting in boxes in the back of a kitchen cabinet as they’ve done for so many years. 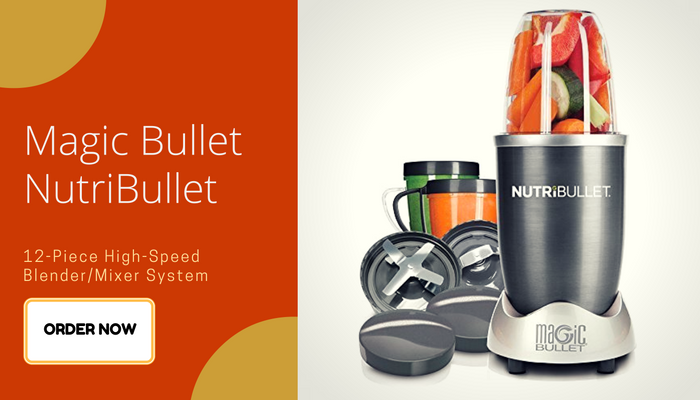 The Nutri-Bullet from Magic Bullet has become almost an icon in today’s blender/mixer market. Its powerful 600-watt motor and patented blade design offer you the ability to make juice even from such solid vegetables as beets and carrots or leafy vegetables such as kale or lettuce without having to chop them into tiny pieces first. The Nutri-Bullet’s powerful extraction means it produces juices and smoothies that allow your body to reap the benefits of nutritious foods in a pre-digested form, which easier to absorb and process. Skins are shred, seeds are busted, stems are cracked to unlock nutrition far more efficiently than can be done through chewing. Other functions include grinding and chopping, which are useful for some food processing chores, and the 12-piece set includes one tall cup, two short cups and re-sealable lids to keep your juices fresh. 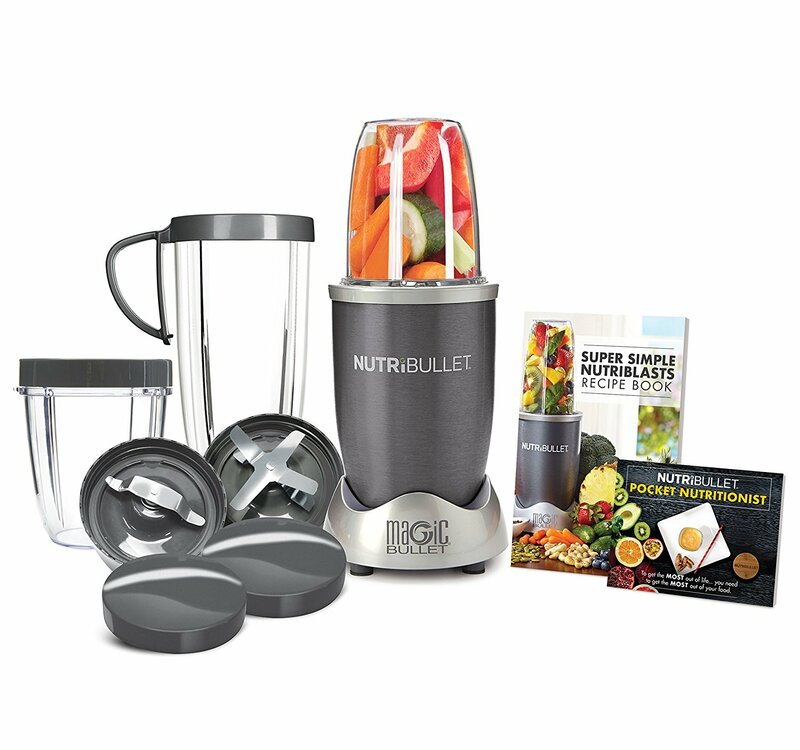 The generous three-cup capacity comes in very handy, and at this price range the Nutri-Bullet is an exceptional value. 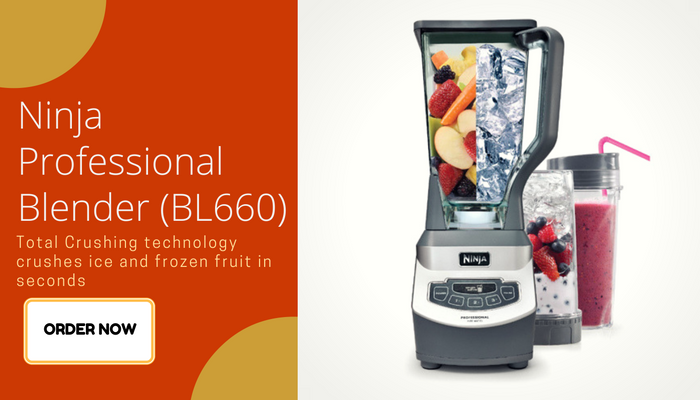 This professional grade 1100w motor of the BL660 drives its blades through many thick items other blenders struggle with – ice, whole vegetables and fruits, etc., and its large, 72-Ounce capacity means the whole family’s smoothies can be prepared quickly, efficiently and perfectly every time. 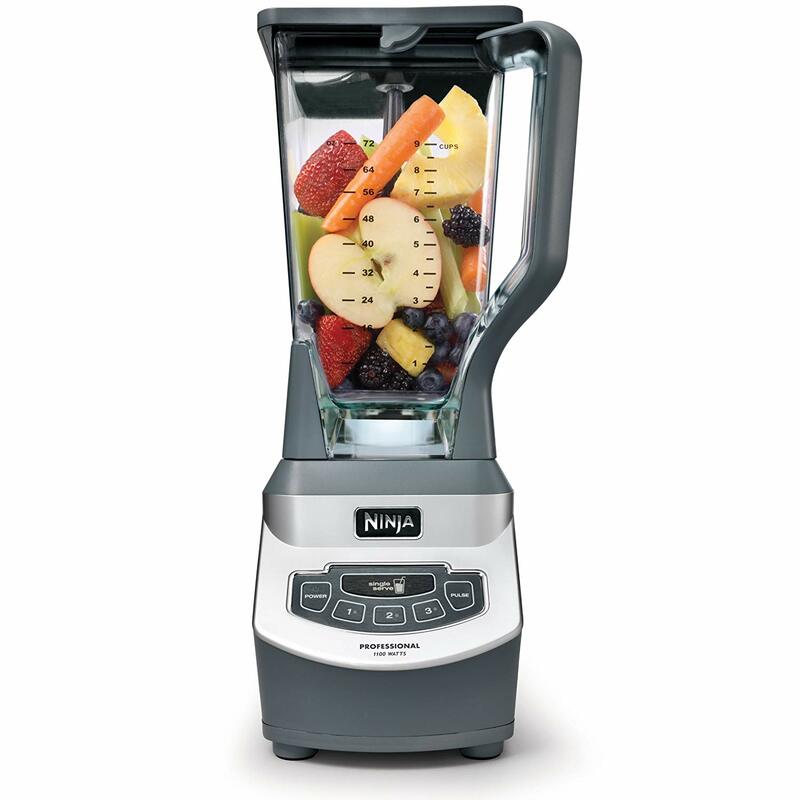 The Ninja does provides a single cup option as well, enhancing the already impressive versatility of this blender. 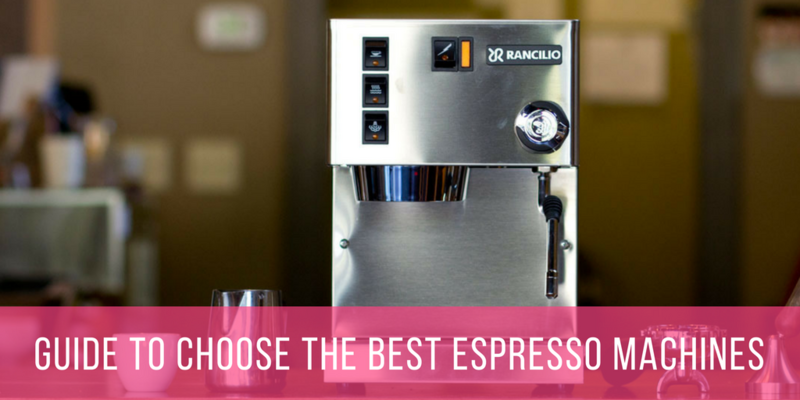 The single serve option allows you to take advantage of the powerful blender without having to swap out the 72 – ounce carafe, so simple is the key here. While not many consumer complaints have been registered, one theme that appears to cause some concern is the placement of the Ninja’s extremely sharp blades, which are stacked through the center of the carafe. Take special care when cleaning – these blades are razor sharp and a lack of caution could result in a nasty cut or worse. 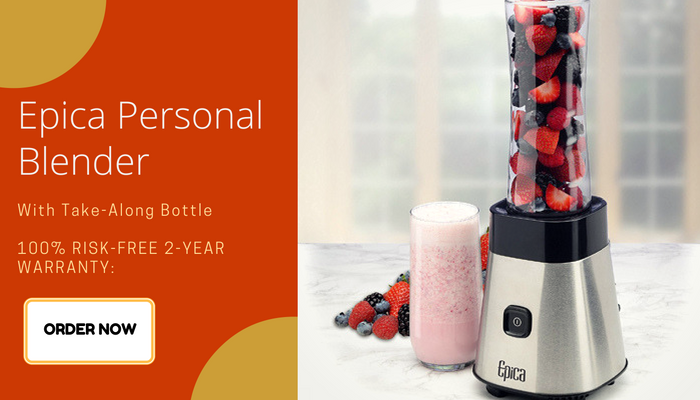 Epica’s Personal Blender – which comes with a carafe that doubles as a bottle you can bring with you after blending, is designed specifically for health-conscious singles on the go. Epica markets the blender as an answer to on-the-road temptations: don’t stop at the drive-thru for an extra large caffeinated soda, simply take your home made smoothie with you! The blades are described as super sharp “surgical quality”, though since there are only four blades some have noted a struggle with getting fruits and vegetables fully pulverized. 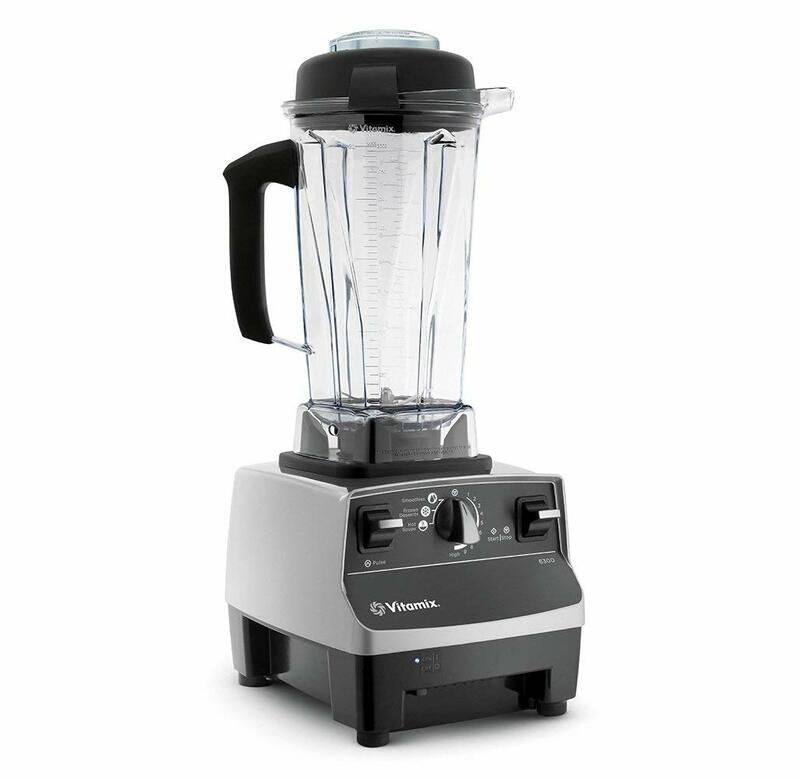 The granddaddy of best blenders, Vitamix offers an appliance here that does everything from smoothies to hot soups. Of course, spending upwards of four hundred dollars on a blender is a choice not everyone will make, but the fact is that the output and durability of this incredible machine justify the cost of this machine many times over. Even thorough cleanup is simplified – a drop of soap, run the machine on high for 30 seconds, rinse and voila! Cleaned and ready to prepare the next great pulverized meal. The Vitamix 1891 even comes in a variety of colors, and many customers have even posted rave reviews about the recipe book that is included in the price. Of course, anyone thinking about buying a blender needs to factor in their budget and their needs. 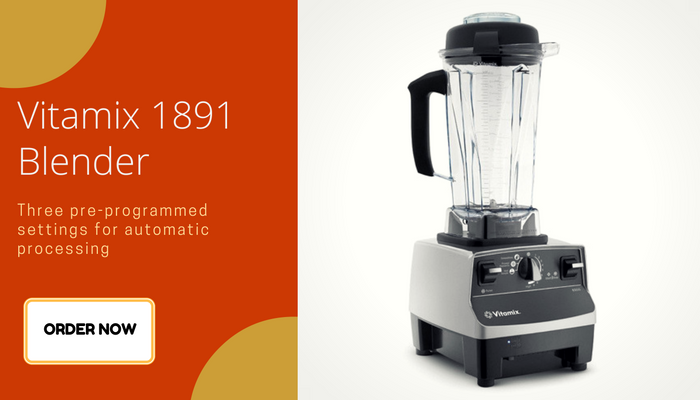 In today’s marketplace finding a high quality blender at a significantly lower price is not a challenge, and it’s certainly possible that the Vitamix 1891 offers functions that you’ll never need or even care about. However, for people who count speed, versatility, quality construction, dependability, design as priorities, this is a blender that must be considered. We simply could not put out a review of blenders without including this excellent, if pricey, model. 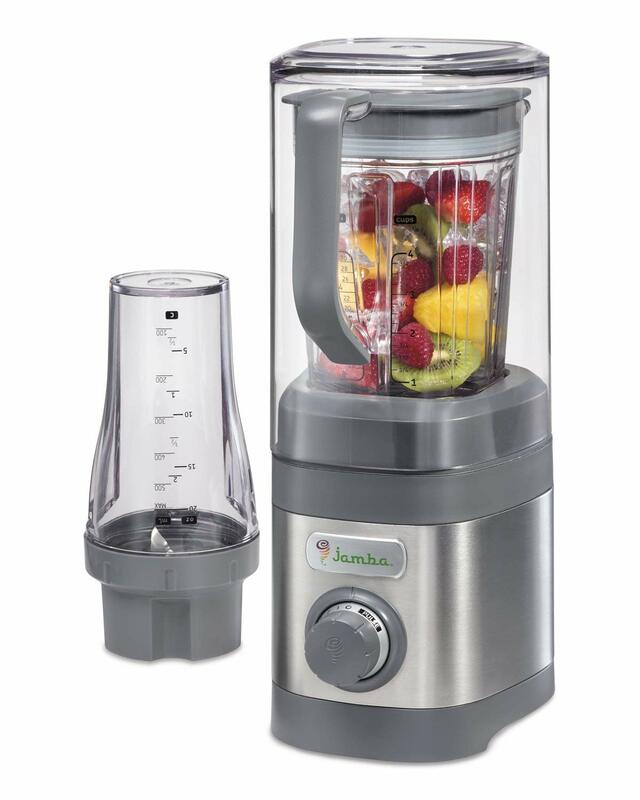 This is just an excellent blender, and it comes from Jamba – yes, that Jamba Its 1.6 horsepower motor is powerful enough to pulverize the toughest vegetables, with dishwasher safe jars of 20- and 32-Ounce capacities, and comes with a “quiet shield” that makes this just about the quietest blender available on today’s market. Jamba proclaims the company to be dedicated to the healthy, active lifestyle, and assures its promise of Blend in the Good with products it makes available for home use. 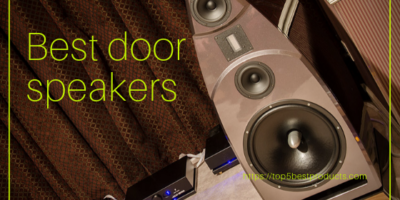 We have to say this is one of the more impressive consumer goods products we’ve found. 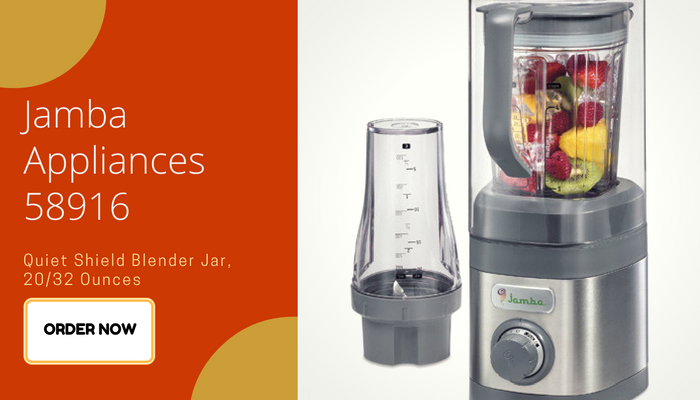 Customer reviews are almost universal in praise, and Jamba has offered this excellent blender at a middle-of-the-scale price that makes it accessible to most buyers.